Asteroid (56) Melete will occult 2UCAC 37328970 on 2014 April 6 around 03:26 UT (Saturday, April 5, around 8:26 PM Pacific Daylight Time). The star has a reported magnitude of 13.2. The star’s position is RA: 06 19 26.3 DE: +15 30 27.5, J2000. The waxing crescent moon will be very nearby (4 degrees away) and the sky will be just getting dark following sunset. Use a sense up setting of x32 for this event. This event is an OPTIONAL campaign event. The predicted shadow path is almost due west to east and all communities except Bishop, Cedarville, and Tulelake are within 1-sigma. For those who are able to try the event, it will be a chance to hone your skills getting on the field during twilight conditions – and a great opportunity for a star party to follow!!! The chart below shows the predicted path of (56) Melete. IMPORTANT CHECK MALLINCAM SETTINGS: Prior to this event, be sure to check that your camera settings match those describe on the Camera Page. See also a post that Marc provided over the holidays regarding Camera Performance for ways NOT to set your camera. Also, be sure to charge batteries for the telescope and for any other devices several days in advance of the event. 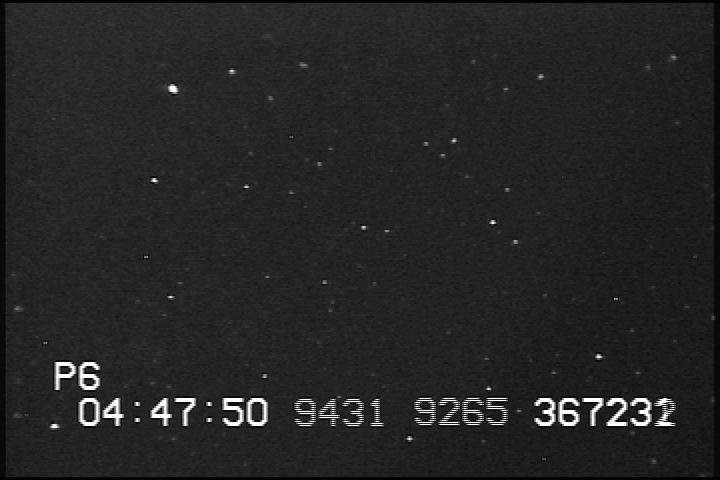 Because it takes the Mallincam time to stabilize after changing sense-up settings, we would would like those observing to be on the field and change the sense-up time to x32 by 03:21 UT (08:21 PM PDT), 5 minutes before starting to record the event. This will give the camera time to stabilize before recording data. 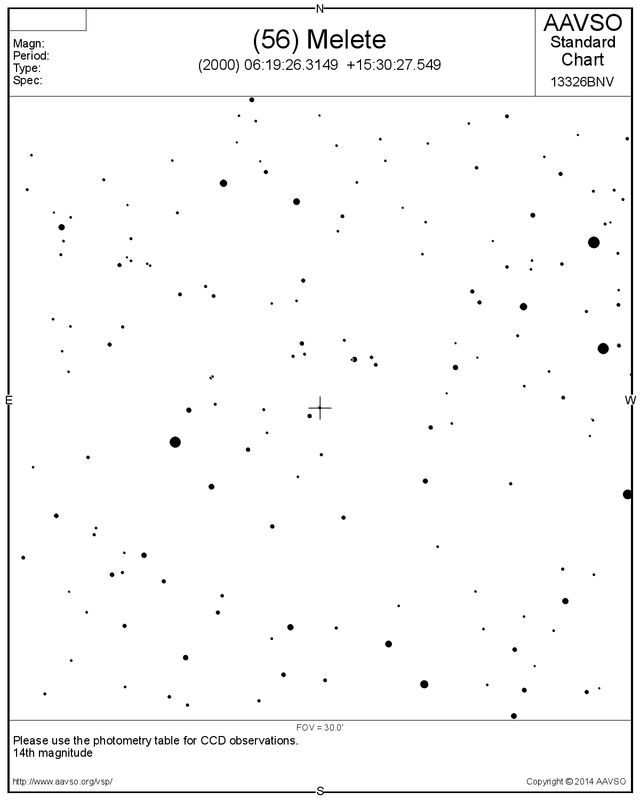 RECON sites should record from 03:26-03:28 UT (08:26-08:28 PM PDT). The following image was provided by Charley Arrowsmith from Quincy. The image is taken at a senseup of x128 using the Portola CPC-11 with no star diagonal. North is up and to the right in this image.